Blogger, mother, and reality star Juliet Angus is no stranger to the fashion industry. 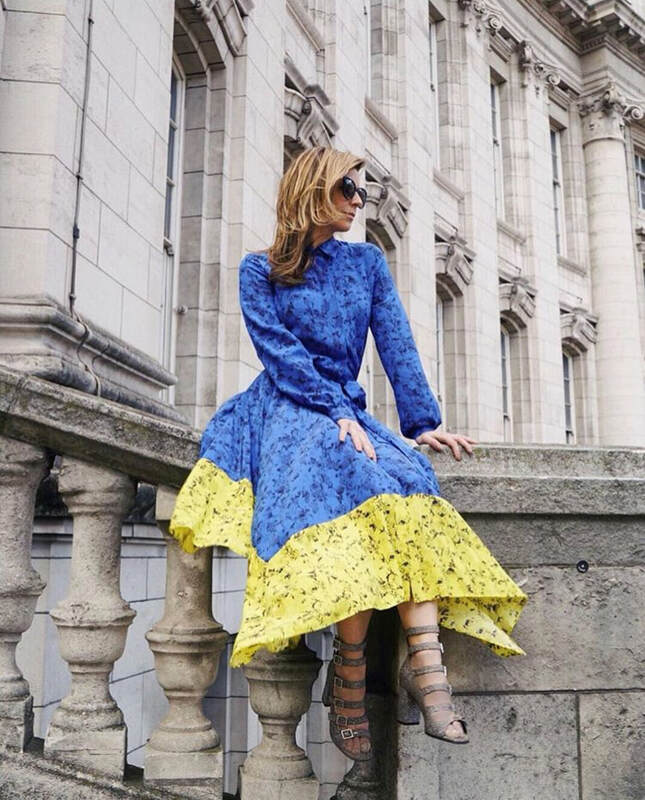 When she’s not filming Bravo TV’s Ladies of London, she’s sitting front row at London Fashion Week, vacationing with bestie Lindsay Lohan, and hanging with fashion icons such as Victoria Beckham. A Chicago native, Juliet previously lived and worked in both Los Angeles and New York City, allowing her to garner an inner circle composed of today’s A-list. Besides clinking glasses with the elite, Juliet also enjoys spending time with her husband, Gregor Angus, their children, Georgina and Truman, and their King Charles Cavalier, Lady Peanut Butter. 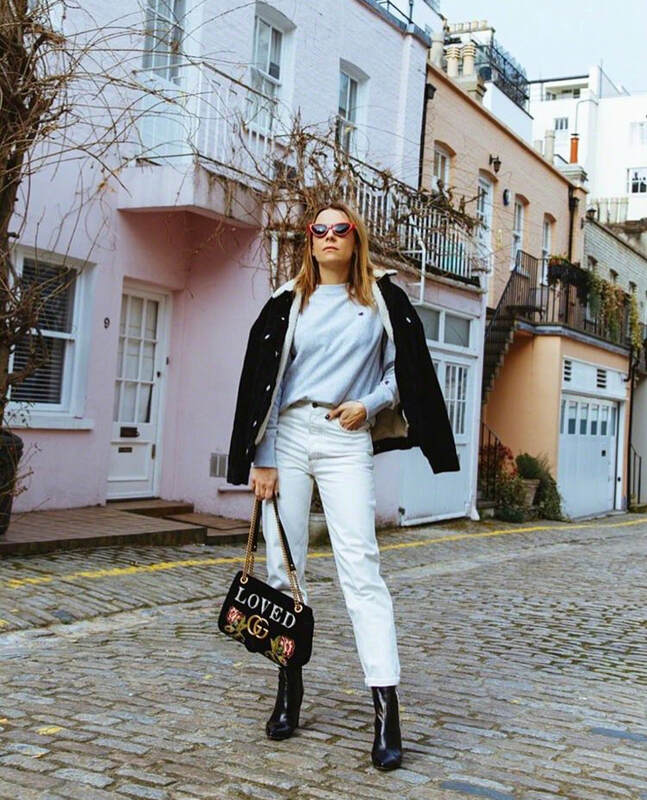 Her family is the biggest support system behind her lifestyle blog, which focuses mostly on fashion, beauty, travel, and her life living in England. During my vacation in London, Juliet made reservations for us at a local cafe called “Harry’s Dolce Vita” so we could sit down and talk more about her styling tips, favorite trend of the moment, and advice for how you, too, can make a name for yourself in the field of fashion. 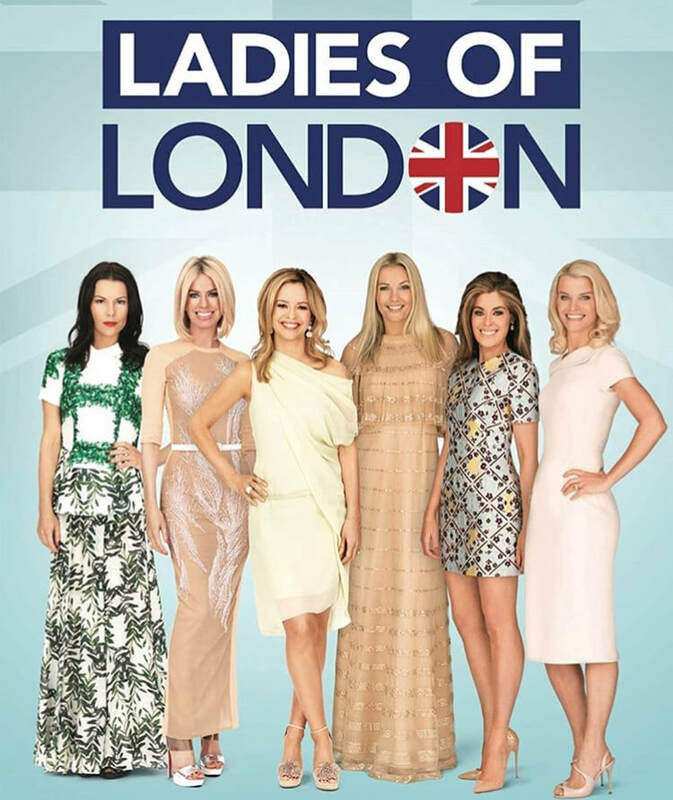 How did you come to be on Ladies of London? Through a friend of a friend. There was a casting director who previously cast this other show, Made in Chelsea, about young kids living in London. He then approached a girlfriend of mine, Noelle, who referred me. [The casting director] wanted girls that knew each other, especially Americans, and then they cast some British girls. So basically, it was just a casting director trying to find out who the biggest Americans with personalities were in London, and they found me. Which do you prefer: British or American fashion? I'm kind of biased. I love my Ralph Lauren, but you know, I wore my Ralph Lauren with the popped collar for my class photo in 9th grade. I think now, my fashion has evolved and I do like clothes that are a little bit more extravagant and fashion-forward. Europe is definitely the place to explore that. In your eyes, how does British fashion differ from American fashion? American designers are a little more classic. I think retail influences that because in America, there is a very small market for more extravagant, fashion-forward pieces. It’s almost as if American designers are, I don't know, kind of afraid of that. You know, of the mass. They think about it in the back of their heads, whereas British designers go for it a bit more. Well, I love Christopher Kane, Mary Katrantzou, Peter Pilotto, David Koma, Erdem, and Alexander McQueen. I mean, there are so many. Ralph & Russo are also so mega right now. The list is endless. I think it’s amazing how I lived in L.A. for 14 years but the fashion there isn’t nearly as big or powerful as it is in London. What is it like to sit front row at London Fashion Week? It's actually quite intimate. There aren’t many huge shows that happen here in London, so I find London Fashion Week is very intimate and feels special every season. I think I may attend New York Fashion Week in September. How has studying broadcast journalism in college prepared you to take on the fashion industry? Well especially now, with my blog, it helps that I've had writing experience. I pretty much write the way I talk. I've had a couple people say, "Do you have an editor?" or "Does anybody proofread your things?" Listen, I'm writing by myself. I want to relate to people. Sometimes I have grammatical errors but the passion is still there, which I love. Additionally, I'm often asked to cover an event or write something as a stylist, and blogging so much has helped me know how to prepare a story from start to finish. Writing is a great base for everything in the fashion industry. [As for the broadcast journalism side of things], my experience has really helped me learn how to speak up and communicate with others. How did you gain such a strong sense of self? When I was younger, my mom never stopped me from anything I wanted to take on, whether it was tennis, ballet, ice skating, softball. I did everything, and that was a good basis for helping me figure out what I wanted to do later in life. Now, I feel like I’m a well-rounded woman. It's a bit chameleon-like. Yesterday I was in the countryside, and I embraced that through my clothes. I felt like a prairie girl. Today I'm in the city, so I've got my denim jacket on. Although that could be country too...I don't know. But my point is that my style can go all different ways. I’m never afraid to [dress up], even if it looks like I’m going to a costume party. What is the one closet staple piece that you will always hold on to? My black Hermes Kelly bag that I got as my 40th birthday present. I think if my closet was burning down, I'd grab that. It's just so beautiful and classic and perfect. What’s a trend specific to the summer that you think everyone should embrace? Straw bags. I love a good wicker basket. Everyone should get one for the beach this summer. What is your number one tip when it comes to styling an outfit? Feel good in what you’re wearing. But having said that, I do think that there is something invigorating about pushing the envelope a little bit. Being uncomfortable often ends up being quite exhilarating in the end. So try different things! I was initially going to say that you should always wear comfortable shoes, but that’s not possible. I constantly have blisters. I used to ski in jeans, and I'd be spray starching my jeans at night so they'd have a coating of Scotchgard on them. It was really stupid. Years later, I finally realize that it was a really dumb move to be in pain in the snow. It’s not worth it. Today, I wear my most comfortable pair of Valentino shoes to as many weddings as possible so my feet won't hurt at the end of the night. Besides being comfortable in what you’re wearing, what’s the biggest lesson you’ve learned as a consultant for fashion brands? Travel. Experience living in different countries. Before I moved to London, I had a PR firm in L.A. where I did a lot of celebrity placement. I learned how to work with brands and do things unconventionally. I learned how to take a brand and say "What's your goal? What's your initiative?” If they were looking to expand and grow their celebrity presence, I helped them find three or four hero pieces in their collection. Then I’d send the images of those looks to the celebrities and their PR people, or I’d have them in for a fitting. Then, I’d have them pick what they specifically want out of a collection, instead of just doing mass mailings. There are honestly so many different ways of structuring influence and branding. I’ve tried it all, and that’s because I have a background in PR as well. I brought all the knowledge I gained in L.A. with me to London. What is it like to be on the other side of working with brands now? I'm an influencer, but I started on the other end. It has really come full circle for me. London was very hesitant in having divisions that work with celebrities, and I really convinced them that there is a way to not do it rogue and to have it structured so it can do well. But going back to my point about traveling...I’ve lived in so many different cities. I've lived in New York, L.A., Chicago...I’ve even spent four years in Montreal. Now I have a house in London, and I’ve been here for almost eight years. Traveling, living, and working in different markets has really helped me understand the fashion industry in different ways. Do you ever find it hard simultaneously being a mom and a social media mogul? Yeah, but isn't everything in life hard? Nobody has it easy these days. I feel blessed that I can be a social media influencer because I can be my own boss. I mean, I just came from a swimming gala at my daughter, Georgie’s school. I can do it all. When you work for someone else, you are restricted. I think that the career that I have taken on has really flourished in the last five years and allowed a lot of young ladies to become businesswomen on their own. My dream used to be to work as a magazine editor or for a designer. But now, you can be a blogger and be just as big a part of the industry as those who are in the older, more coveted roles. Why be a Vogue editor when you can be your own editor? You will still have just as much access to the industry. What advice can you offer to people who are trying to break through in the fashion industry? Intern a lot to get a feel for the industry. I interned at so many places. My first job out of college was launching the style network for E! I also interned at Los Angeles Magazine. Working at so many different places allowed me to develop an appreciation for all the different jobs that make up the industry I love. But I really think that you should try as many different things as you can because soon enough, the real world will kick in. If you are still in school, try to get an internship over the summer. Find people who need some extra hands. You’d be surprised--everyone can use an intern in the fashion industry. It’s not even about making money off your internships--the experience is what is most important. Who Says Playing With Your Food is a Bad Thing?